Wells Fargo’s parade of scandals is having an effect on the megabank’s bottom line. The bank’s profits, loans and deposits all shrank last quarter, it announced Friday. Expenses, meanwhile, are skyrocketing for the bank. 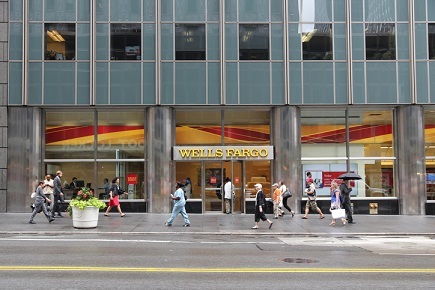 Wells Fargo said Friday that its operating losses spiked 77% last quarter because of the various and sundry scandals in its auto lending, wealth management, mortgage and currency businesses. Overall expenses were up 3%, according to a CNN Money report. The bank’s profit dropped 12% during Q2. Its stock, which has lagged the market, fell 3% Friday, CNN Money reported. “It’s a formidable banking franchise, but there’s still a lot of work to be done,” Leon told CNN. The bank also saw average deposits drop by 2%, led by a decline in business from financial institutions. Wells Fargo blamed the drop on penalties imposed by the Federal Reserve, which barred the bank from growing its balance sheet. Lending also fell by 1% from the first quarter, according to CNN Money.